Vintage Aunt Marths's "Hearts & Flowers For The Bedroom"
Home > AUNT MARTHA'S HOT IRON TRANSFERS > Vintage Aunt Marths's "Hearts & Flowers For The Bedroom"
This transfer is from the 1930's. PLEASE NOTE: This pattern is sold "as is". It is unused, but part of it is ripped due to the brittle paper. Because this is a vintage item we cannot guarantee that it is still usable. 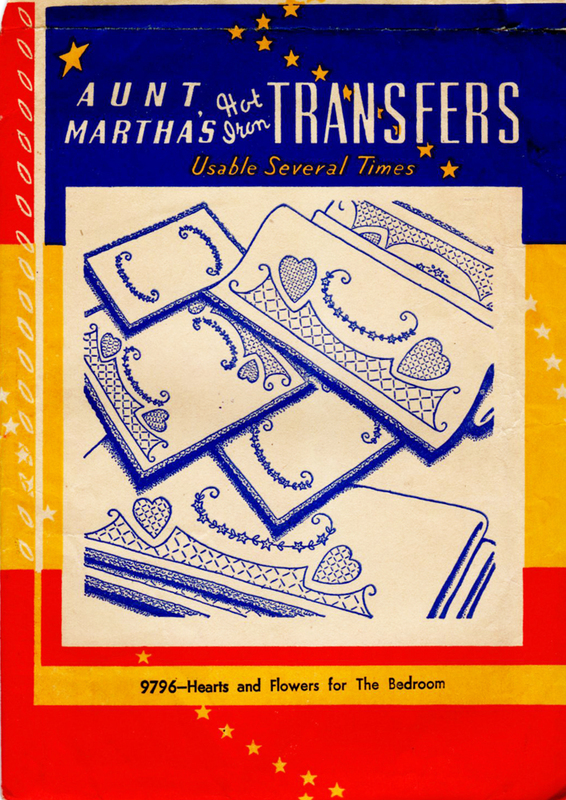 Most people who use vintage transfers trace or photocopy them on to new paper.